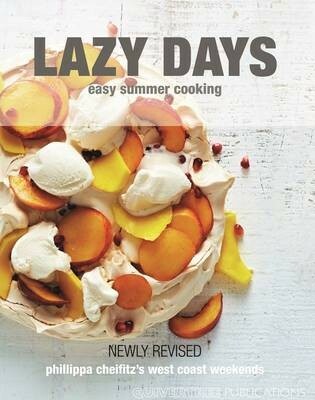 Lazy Days puts you in the summer holiday spirit, taking you up the west coast where Phillippa uses local produce to create mouth watering easy recipes. Phillipp a Cheifitz is a well-known South African author and food writer. She currently contributes to Woolworths Taste magazine. She has won many awards, both for her magazine features and her cookbooks. Her most recent cookbook South Africa Eats (Quivertree) received superlative reviews. She also edited and co-authored Woolworths Taste The Cookbook (Quivertree), which has been a great success. Phillippa spends weekdays in Cape Town, weekends in Paternoster, and she visits her family in New York as often as she can.